Indian Gaming show being organised as part of International Engineering and Technology Expo 2019 is being organised at Pragati Maidan. 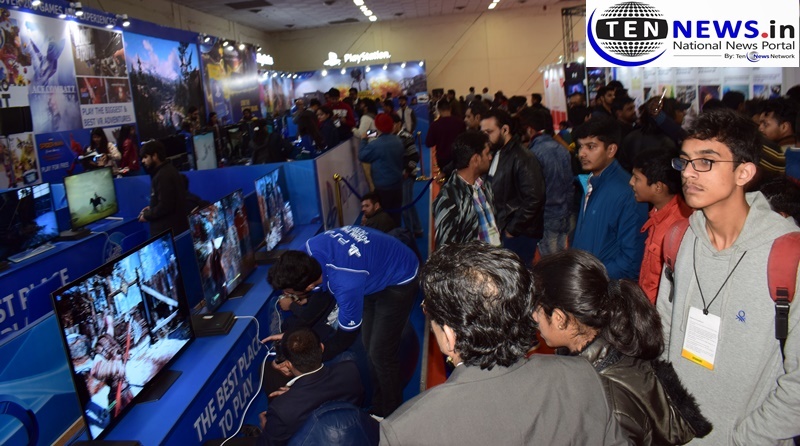 The event is proving to be a big crowd puller as thousands and thousands of youngsters have thronged the gaming pavilion to get their hands on the latest innovations in the gaming technology. With Japan being the partner country the visitors are getting a first hand experience of the best and foremost gaming experience blended with the most advanced technological tools. While the PUBG fever has gripped the visitors, the youngsters were also spotted trying their hands on the ever famous counter-strike as well as the other popular games of the modern times. Variations of different physical games with VR technology and other modern tools is also enthralling large number of youngsters. The gaming show will go on for two more days at Pragati Maidan.